We are sliding into the weekend with another giveaway! I had so much fun reading about your dreams and desires last weekend. Talk about an incredible mood lifter. Your positive energy had me buzzing all weekend. Today we’re talking “zoodles” (zucchini noodles). 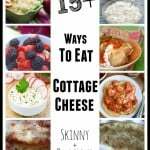 Have you seen recipes for them? Zucchini sliced into pasta-like ribbons have been quite the rage for some time, especially with folks doing low-carb, paleo, gluten-free and Weight Watchers. If you haven’t yet tried zucchini noodles, take note: They’re delicious! A light and healthy alternative to pasta, you can pretty much sauce them any way you would pasta – garlic and olive oil, Parmesan and red pepper flakes, marinara sauce, pesto, alfredo! 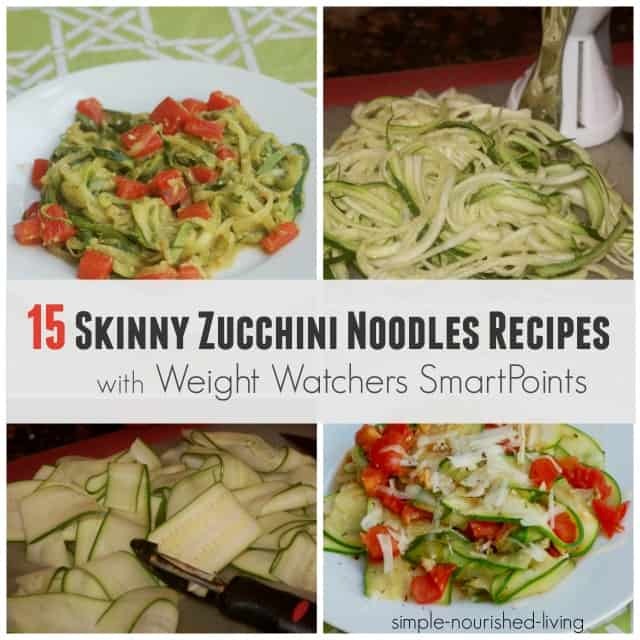 Substituting a cup of zucchini noodles for pasta will save you a whopping 5 SmartPoints too! There are several kitchen tools you can use to turn zucchini into noodles. Vegetable peelers, julienne peelers and Mandoline Slicers can all get the job done. And there’s a little device called the Veggetti (which I picked up at TJ Maxx) that works like an old-school manual pencil sharpener. 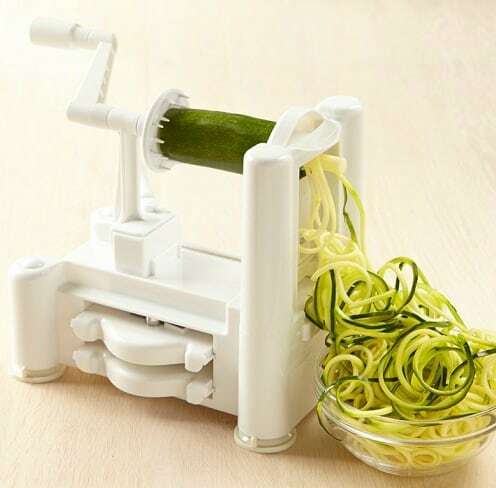 The most popular tool for making vegetable noodles is called a Spiralizer. Since I’m forever trying to simplify my life and my kitchen, am not usually a fan of single-purpose kitchen tools, and barely have space as it is, I’ve delayed purchasing one. But my brother and sister, both proud owners, give it high marks. 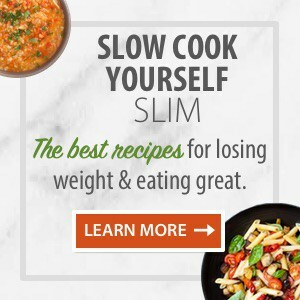 So, I’ve spent the past few days gathering Weight Watchers friendly zucchini noodles recipes, tips, hints and “how-to” videos. And even made zucchini pasta for lunch two times this week. Once with olive oil, garlic, chopped tomatoes and a sprinkle of Parmesan (a Weight Watchers version of this one from The Pioneer Woman). And once with pesto, chopped roasted bell pepper and chopped turkey. While I’ve made zucchini ribbons before, I was really surprised at how much I loved the taste and texture of the “spaghetti” shaped noodles. If I’d been blindfolded I would have sworn I was eating al-dente pasta! What makes me most excited about the spiralizer is how fun it makes creating, cooking and eating vegetables for kids and adults of all ages! 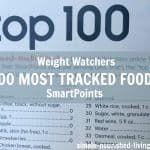 And to spark your creative juices, here’s a great list of zucchini noodle recipes from my favorite Weight Watchers sites, with calories, PointsPlus and SmartPoints when available. Talk about variety! I’ve got several bookmarked to try in the coming weeks. Q: How much should I make? A: Plan on about 1 medium sized zucchini per person. It may seem like a lot, but once they are cooked they shrink a lot. Q: How do I cook them? A: Boiling – If you’re going to mix them with pasta, plunge them right into the boiling water with the pasta as soon as the pasta is done. 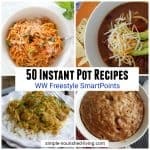 They only need to simmer for a minute or two to get soft and can be drained right along with the pasta. Pan Cooking – This seems to be the preferred method. Just a minute or two in a large skillet (affiliate link) set over medium heat is all it takes to soften them up for serving. Think stir-fry -cook them hot and fast like you would in a wok and then serve immediately. Q: Sometimes when I add a sauce it turns runny, how do I avoid that? A: Zucchini has a very high water content, so after cooking, if you add a sauce, it can tend to get soupy. 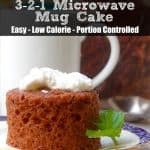 Try using thicker sauces. Another trick is to plan ahead and expel some of the water from your zucchini, first. Toss your raw zoodles with kosher salt (about 1/4 teaspoon per small/med zucchini) and then place them in a mesh strainer (affiliate link) that drains over a bowl. 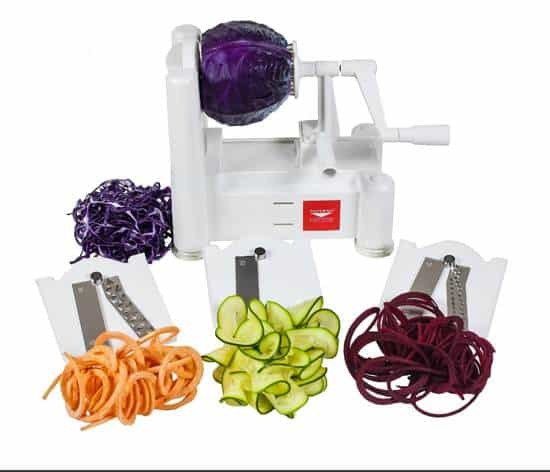 Today, because it’s Friday, because it’s my favorite day of the week, because I care about you and want to help you have fun while eating more vegetables, I’m giving away a Spiralizer! Just let me know which vegetable you prefer and why and you’re entered to win the spiralizer (affiliate link). Winners will be announced Sunday night. Be sure to check back to see if you won!! 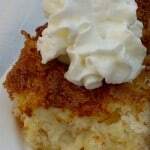 Giveaway sponsored by Simple Nourished Living. Congratulations, Linda! Contact support@simple-nourished-living.com to claim your prize! My favorite vegetable is roasted brussel sprouts with shredded parmesean cheese. It’seems a new to me vegetable that I forced myself to try last year and I absolutely love them! I suppose that the sweet potato is my favorite vegetable. 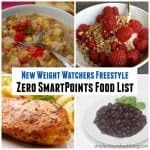 You have your nutritious vegetable and still feel like you have had desert, too! I’m an Iowa girl so it’s no surprise corn on the cob is my favorite vegetable. Zucchini is my fav…juicy and flavorful!